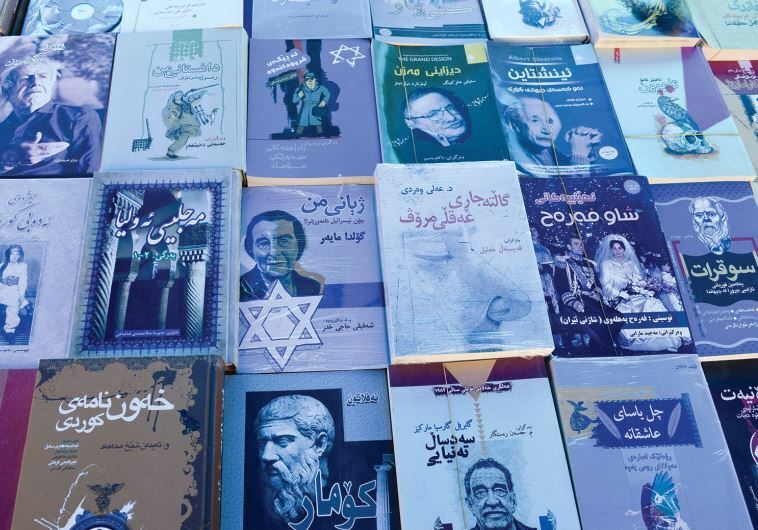 At the Swedish book fair, there were at least seven anti-Israel booths and assemblies. rgest city in Sweden. The city’s largest cultural event of the year is held each September in one of the largest exhibition spaces in town. This year the theme was “Freedom of Speech.” Over a period of four days, close to 100,000 people from across Sweden paid a visit to the fair. A special part of the Göteborg Book Fair is “The International Square” – “a network of NGOs, publishers, trade unions, businesses and agencies working with international issues and development and co-operation.” The goal is “to spread qualified information about global development issues to the many visitors – from Sweden and elsewhere.” The Swedish international aid and development agency (SIDA) supports the International Square, among other things by paying the salary of an organizer from a private adult-education agency. As the director of the Sderot Media Center and the Jerusalem Discovery photography and multimedia show, I was invited by the Sweden-Israel Friendship Association (SIFA) to share my personal audio-visual narrative: From Rockets to Rainbows. This was the second year that SIFA set up a booth to counterbalance the well-funded anti-Israel booths in the International Square. Upon arrival, I set up our books of photography for display in the booth and hung up colorful posters from my photo exhibits to draw attention to the booth. On my first break, I walked around the complex to get a feel for the atmosphere of the International Square – and for what and who are we up against here. There were at least seven anti-Israel booths and assemblies. Representatives from EAPPI (Ecumenical Accompaniment Program in Palestine and Israel) had a booth right next to SIFA’s. They wore green safari vests with lots of pockets on the front and EAPPI written on the back along with an all-orange version of their logo showing a peace dove and a cross. I recalled encountering many such activists in Israel, provoking IDF troops, trying to fabricate scenes to document with their cameras. There was a small auditorium where selected participants (including yours truly) gave presentations. Right next to it was a second-hand library/bookstore with a huge sign on top reading, “Buy books against the Occupation.” State of the Art colorful handbags proclaiming “Boycott Israel” were for sale. A donation box with pins designed for the next flotilla to Gaza was on one of the shelves. Emmaus – an organization that backs projects such as the newest flotilla to Gaza – had its name on two “pro-Palestinian” booths, one of which was near the larger auditorium. The other was a Swedish-Palestinian booth selling “right of return” books. In the other half of the huge complex, there were powerful photography exhibits, many of which covered the Palestinian- Israeli conflict. Of course, they weren’t what you would call impartial. It’s a fascinating coincidence that, according to Swedish integration police chief Uffe Boström, more Islamic State (ISIS) recruits come from Gothenburg than anywhere else in Sweden. But perhaps there is some hope, even in Sweden. “Last year they were much more aggressive” – SIFA’s Jorgen Knudtzon tells me. There are probably no cultural events outside of Sweden that are as grotesque as the International Square at the yearly book fair. But there are all too many events where a voice for Israel and the Jewish people is sorely needed. SIFA’s participation at the International Square already seems to be making a difference after just one year. The sponsors/ organizers are becoming stricter about the ban on material attacking anyone. There were many visitors to the SIFA booth – including MPs and celebrities; SIFA’s Lotta Jansson says that perhaps some of the people running neighboring booths even felt jealous. Attendance at the speaking events was good. May SIFA be an inspiration to pro-Israel activists everywhere in the free world. The author is a photojournalist and international speaker. He directs the Sderot Media Center and The Jerusalem Discovery.